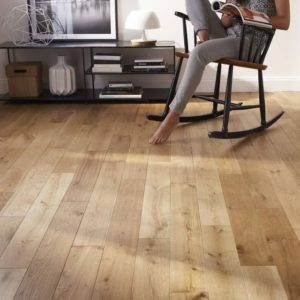 Make a style statement with the Oak Soil engineered wood flooring from the Kährs Original range. 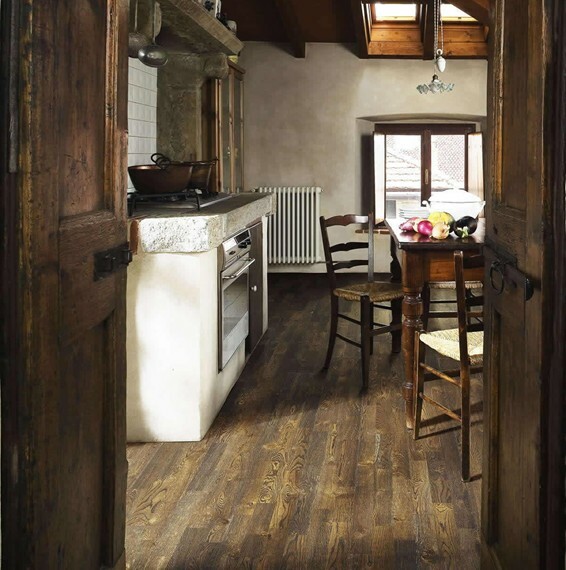 This striking floor features dark brown tones and a rustic-style grain, enhancing the appearance of any room. A great addition to a classic décor with antique furniture, this engineered wood flooring would also suit an eclectic space with minimal furnishings to complement the wood’s bold character. 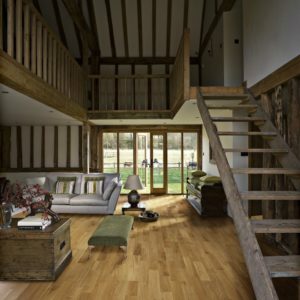 This floor boasts a brushed and fumed or smoked and oiled treatment which enhances the natural beauty of the oak veneer. Backed by a 30-year warranty, Oak Soil offers incredible value for money as well as plenty of natural charm. We recommend an extra coat of Kahrs Satin Oil Matt Appearance is applied after installation of this oiled floor. This will enhance the flooring finish and help seal the joints against ingress of dirt and moisture.